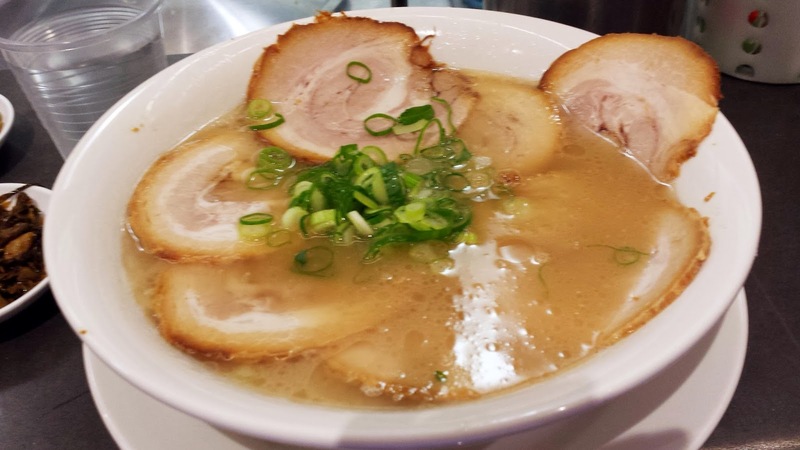 Hakataya Ramen, Sunnybank Plaza, Sunnybank - my name is Food. 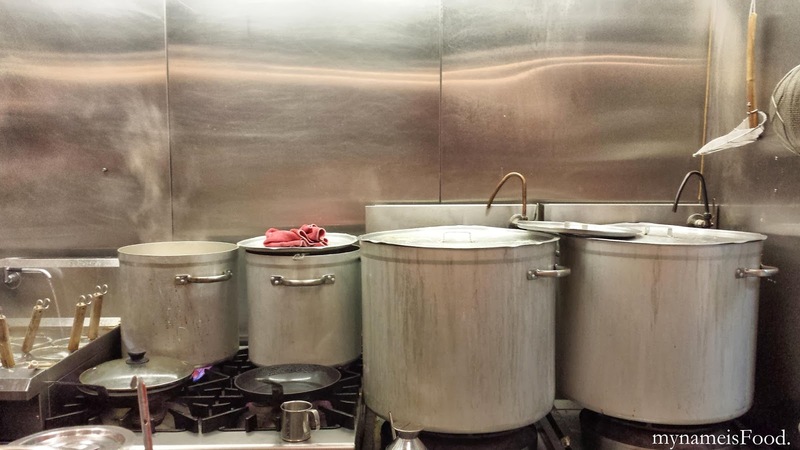 Boiled in these big pots, no wonder their broth continuously cooks for 39 hours as stated as it is always warmed and boiled.. 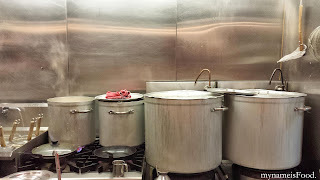 I wonder how much gas they use throughout the day.. hmmm... The little two pans on top of the stove were for the Gyoza (Japanese dumplings) and they seem to cook it quite quickly, as they simply place the gyozas in a bed of water and simply boiling it until the water has been soaked up by the dumplings, and then they are pan fried only on one side, and then flipped over on a plate, ready to serve.. 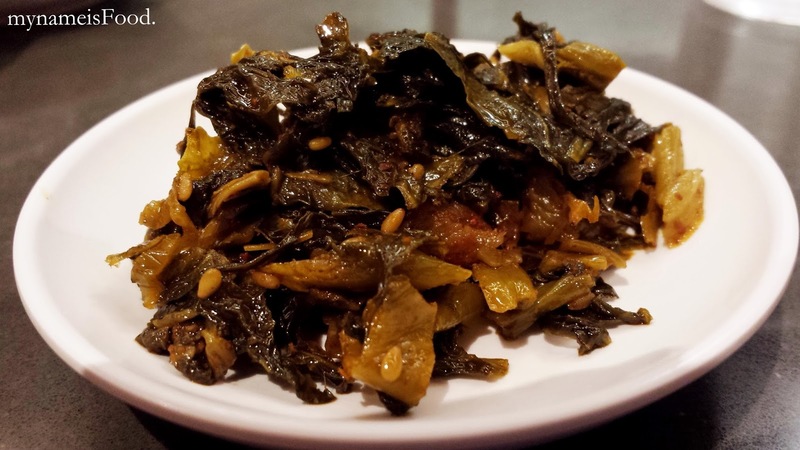 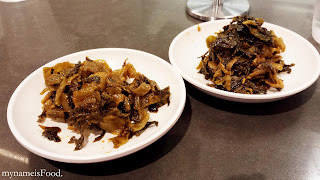 I have talked about these Japanese pickles before in my previous Hakataya post, so I don't think I'll go through it again by explaining the pickles in details.. 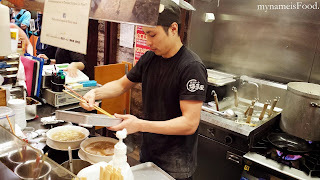 If you would like to know more information about them, please simply go to my previous recent Hakataya Ramen at Market Square post. We both ordered the same ramen so it's not too special to review, but I'm just simply stating the location differences.. 'Char Siu Ramen' ($13) is a Japanese pork noodle soup with extra pork.. 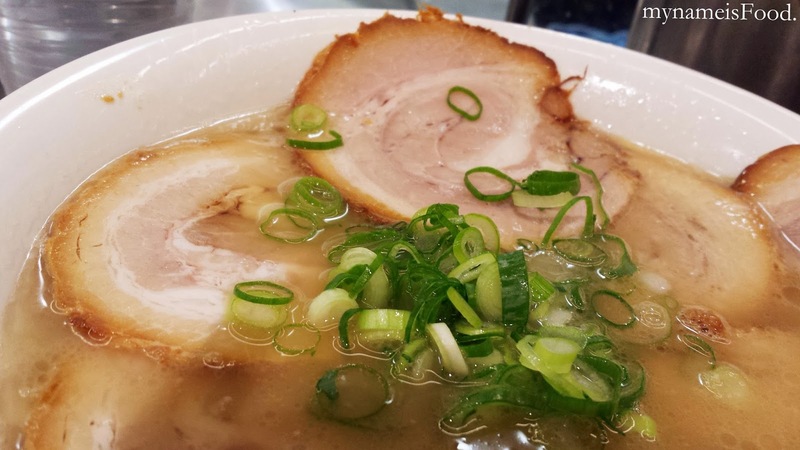 Similar or maybe is actually Tonkotsu Ramen but just in a Hakataya style..
As you can probably tell, the plate is filled with char siu pork on top with the noodles inside, topped with chopped spring onions.. A simple dish but it definitely gives you a memorable meal afterwards... 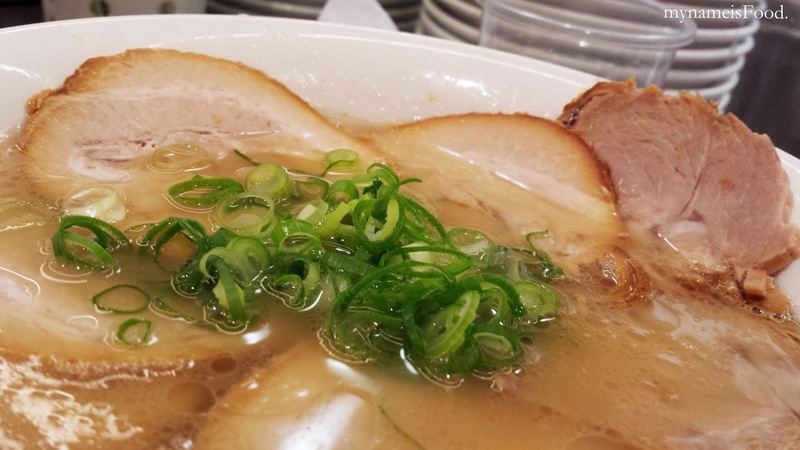 The char siu again hits off well as it melts in your mouth everytime you take a bite.. Free noodles are available if you wanted to get extra and still have soup leftover..